In early spring as ice begins to lose its grip on area waterways, large groups of Bald Eagles begin to make their way north. They capitalize on the winter kill of fish and open waters to feed to replenish their energy reserves from their long journeys. 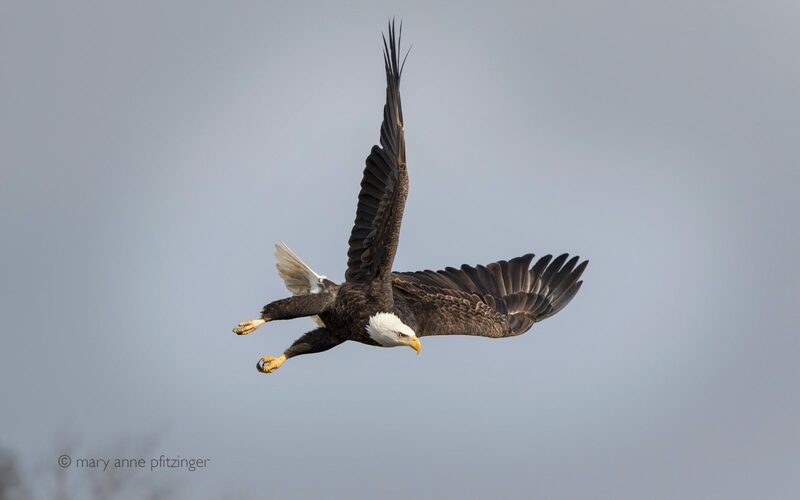 With wings in the shape of an ‘L’, this adult Bald Eagle (Haliaeetus leucocephalus) makes a quick left turn and dives, zeroing in on its breakfast in the partially-thawed water of the Black River below. Taken March 5, 2017.